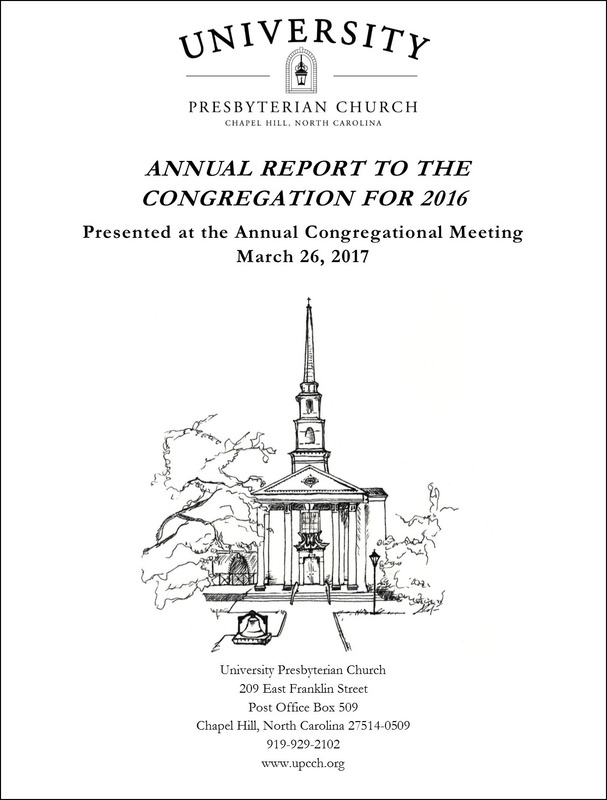 The Session has called a Congregational Meeting on Sunday, March 26, after the 11:00 a.m. worship service to receive the 2016 Annual Report to the Congregation, to hear a report on the State of the Church and to act on proposed changes in the pastors’ terms of call. Click the image below to read the annual report. Printed copies are available in the narthex. If you would like a copy mailed to you, please call the church office at (919) 929-2102.